This wonderful decorative selection is a great way to enhance your greetings, invitations, and announcements this holiday season! 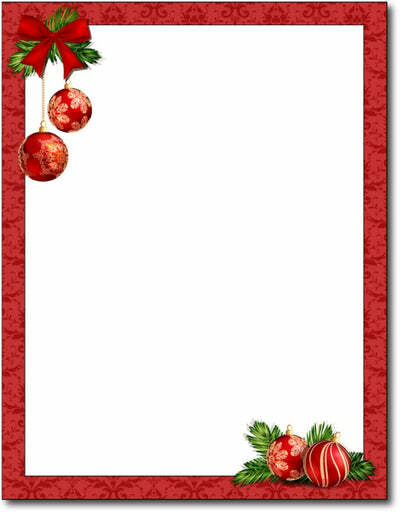 Each sheet is designed with festive ornaments located in both the top-left and bottom-right corner of the paper. The sheets in which this design is placed are made from 28 LB Bond / 70 LB Text paper, and measure 8 1/2" X 11". This makes them perfect for both laser and inkjet printers, as well as copiers of all kinds.